Accuweigh has recently installed conveyor belt scales at ABB Fertilizer’s plant in Ardrossan, South Australia. The conveyor belt scales will be used for totalising the movements of fertilizer at the plant. 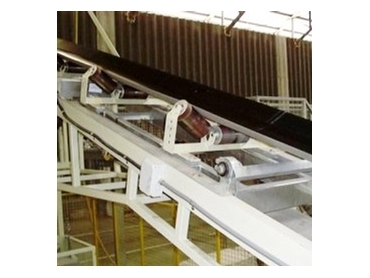 These conveyor belt scales are fitted with dual idlers to help achieve an accuracy of 0.5% of total product weight. During commissioning, conveyor belt scales need to be carefully fine tuned to ensure consistent weight readings are achieved and maintained. This belt scale installation was recently serviced after numerous months of operation and found to be maintaining an accuracy of 0.3%. Accuweigh has installed conveyor belt scales throughout Australia and can supply belt scales to suit all products for all industries. This included small food grade belt scales up to heavy industrial belt scales for coal mines and power stations. Accuweigh has branches in all mainland states to provide local state based backup and support to national clients on conveyor belt scales and all industrial weighing equipment.